The Center for Evidence-based Solutions to Homelessness is dedicated to ending and preventing homelessness by connecting research to practice. Our mission is to empower communities to plan and implement services for people experiencing homelessness on the basis of the strongest available evidence. Policy makers and practitioners in communities across the country are working hard to identify the programs that hold the greatest promise for preventing and ending homelessness. To do so, they need reliable information and guidance that is grounded in research and experience. We created the Center to provide a national source of information on the continuum of evidence-based policy and practice—from promising practices to initiatives that have been tested through rigorous research approaches. At the heart of the Center is a cadre of experts who have a thorough understanding of the evidence base on homelessness and the technical skills to execute rigorous studies and evaluations, as well as practical experience on program implementation. The Center sits at the nexus of practice and research: our evidence-based research informs practice in the field, and our direct experience informs our research. The Center was founded by nationally recognized experts on homelessness at Abt Associates. Abt Associates is a mission-driven, global leader in research, evaluation and program implementation in the fields of health, social and environmental policy, and international development. Learn more about Abt Associates at www.abtassociates.com. The National Alliance to End Homelessness (NAEH) has partnered with Abt Associates to synthesize and document the evidence base on homelessness. NAEH is a nonprofit, non-partisan organization committed to preventing and ending homelessness in the United States. Learn more about the National Alliance to End Homelessness at www.endhomelessness.org. Providing advice to the Center is an Advisory Board of thought leaders and practitioners in the field of homelessness. 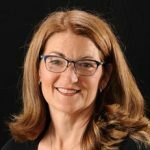 Amanda Andere has spent over fourteen years working in the nonprofit and public sector as a leader committed to addressing social justice, economic opportunity, and security through advocacy for systemic change. Prior to joining Funders Together to End Homelessness as their CEO, she served as the CEO of Wider Opportunities for Women, a national advocacy organization and spent over ten years leading direct service organizations committed to ending homelessness and breaking the cycle of poverty. 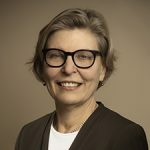 Barbara Poppe is the former executive director of the United States Interagency Council on Homelessness and a nationally recognized expert on homelessness and results-driven public-private partnerships. During her tenure, Poppe oversaw the Federal response to homelessness by working with 19 Federal agencies to create partnerships at every level of government and with the private sector to reduce and end homelessness. Nan Roman is President and CEO of the National Alliance to End Homelessness, a public education, advocacy, and capacity-building organization. Under her guidance, the Alliance has successfully identified and promoted effective policies and innovative strategies for ending homelessness that have been adopted by federal and state governments and communities across the country. 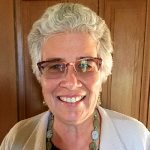 Carol Wilkins is the former Director for policy and research at the Corporation for Supportive Housing (CSH) and a leading expert on homelessness and co-occurring mental health and substance use disorders. At CSH, she worked for more than 15 years to develop and support the implementation of evidence-based policy solutions to end long-term homelessness for people with complex health needs and reduce the avoidable use of emergency, inpatient, and institutional care. 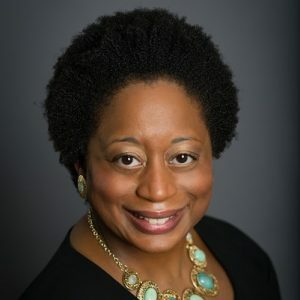 She works to increase the capacity of state and local governments, health plans, foundations and non-profit agencies to create integrated systems to provide housing opportunities linked to effective health care and supportive services, using Medicaid and other financing strategies.